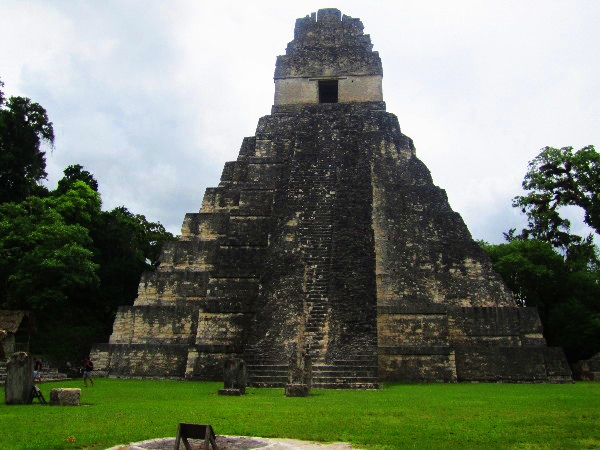 Tikal National Park was once the home of one of the largest Mayan city states. Seeing the temples and other structures for yourself is a must do if you ever have the chance to visit Guatemala. Besides the temples themselves, the park is full of different types of exotic wildlife. Many of the temples allow visitors to climb them, providing stunning views of the Guatemalan jungle that has overtaken the area. I visited Tikal during my first trip to Central America. You can read the official descriptions from the World Heritage website here. Amazing place to visit. I did the sunrise tour and experienced the jungle coming to life as the sun rose above the jungle canopy. All of Southamerica is still a blank map on my travels. So much to see, so much to do, just as well a new year is starting. This is another highlight to be experienced. I loved Tikal, it was as much of a jungle tour as a site for ruins. It’s one of the only places that I recommend getting a tour guide as you learn so much about the region. 2nd this. It is definitely a plus to have a guide. I’ve got the email of a good one if anyone needs it! Great, would love to visit someday! Thanks! Definitely make the trip if you ever have the chance. Another interesting site in Guatemala! The Mayans have some fascinating ruins! I’ve seen some wonders of the ancient world but have never made it to South America – jealous! I will most def be visiting this place when I am in Guatemala!!! Yea, if you make it to Guatemala you HAVE to visit Tikal. The trip there might be a little out of the way but it is totally worth it.